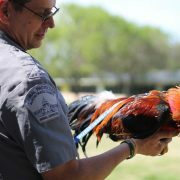 Austin’s Animal Protection team helps keep Austin No Kill. How? Through a proactive engagement-based approach that redefines animals “in need,” values the human-animal bond and engages community members, shelter staff, and volunteers in solving for animals’ needs together. Learn what policies and programs provide the foundation for this program, how it reduces intake and creates lifesaving outcomes, how to measure the success of a program not based on citations and stray impounds as well as strategies for keeping communities safe from dangerous animals and pets safe from neglect and cruelty that don’t compromise lifesaving.